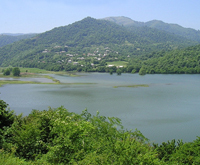 The district of Salyan is located in the southeast part of Azerbaijan, in Lankaran-Astara region which is characterized by its original cultural and historical traditions and unique flora. The region is also famous for its longest-livers and special cuisine with broad assortment of fish meals. It has been inhabited since the ancient times. On the territory of the district flows one of the major rivers of the country - Kura and its east border is formed by the Caspian coast. Located here is the State National Park "Shirvan" (reorganized from the reserve of the same name in 2003). There is also a reserve called "Bandovan" established in 1961. The place is also interesting due to its archeological importance. There are a number of remained historical and architectural monuments. In the 1970-1980's a number of objects belonging to the Middle Ages were found on the territory of the district. These settlements once were advanced trade and industrial centers as evidenced by numerous findings of goods made of ceramics, glass and stone. Due to the increase in the Caspian Sea level the settlements became scuttled. A stationary underwater archeological expedition under the supervision of V. Kvachidze was organized to study this so called Caspian Atlantics. The findings of the expedition are collected in the Baku Museum of Azerbaijani History . Here, in the district, there are a number of archeological objects covering the period from the Bronze Age to the Early Middle Ages. Among them there is the Marimli necropolis, necropolis of pitcher burials in the village of Gursanga, ruins of ancient settlements in present villages of Nohudlu and Mahmudabad. 5 km away from the regional center is located one of numerous mud volcanoes of Azerbaijan, Babazanan which attracts local residents with healing properties of its mud. Near Salyan, in a place called Dashgil not far from the Caspian coast one can observe a mud volcano. 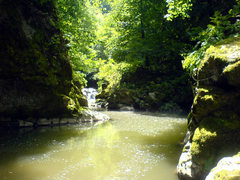 There is also a game reserve named "Dashgil", a place to hunt water birds and catch kutum, sazan and other Caspian fish. Salyan town is the administrative center of the district, located 126 km from Baku. There is an ancient mosque of19th century, an architectural monument protected by the state. Presently at the service of travelers is a newly constructed modern-style caravanserai where one can taste dishes of the old local Azerbaijani cuisine. 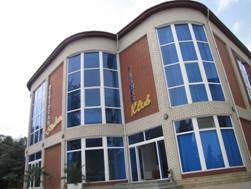 Lodging is also available in motel "California" located on the road from Baku, close to Salyan, not far from the sea. Bilasuvar district is bordered by Iran on the west. Like the whole territory of Azerbaijan, this area has been inhabited since the ancient times. This is supported by numerous archeological findings and remainders of architectural monuments. The monuments remind of the ancient history of the region: settlement sites like Chil Agdam, Toragay dated to the antiquity and early middle ages. Unfortunately, a majority of these archeological objects have not been studied yet. Bilasuvar is a small town, located 182 km from Baku. Jalilabad region is located on the border of Kura-Araz lowlands. Almost 14700 hectares are occupied by forests and there are fine places for hunt. In a hunt estate Zavvar it is possible to hunt water birds. Fauna is represented by wolves, hares, badgers, foxes, wild boars, wild ducks, eagles, francolins etc. Jalilabad town is the administrative center of the district, located 208 km from Baku. On the outskirts of the town archeologists have found and excavated a site called Hashramtepe. Among other findings there were objects of material culture from the Late Stone Age. Specialists maintain that the place was inhabited by the famous tribe of Mages - one of Aryan tribes of early Zoroastrianism. Traditionally natives of the Mages tribe became priests of this religion to replenish the lines of the higher priests. They were skilled in healing and Zoroastrian astrology. They could do many things that after a time the self-designation of the tribe became a common noun - magic. Here, in small hills of the Hashramtepe site were found domestic objects and instruments for the preparation of Haoma - a cult drink of Zoroastrian religion. There are numerous mounds, settlement sites and necropolises (from the Bronze Ageto the early Middle Ages) found on the territory of the district. The former name of the town is Hasilli, later it was renamed to Astrakhan-bazaar.Jalilabad bears its present name in honor of prominent Azerbaijani writer-satirist Jalil Mammadguluzade, the founder and permanent editor of "Molla Nasreddin" - the first satiric journal in the East. In Jalilabad there is a small museum of regional history, a park, a hotel and a motel. At the service of tourists there are a number of small shashlik-restaurants and the restaurant "Yurd". Masalli district extends along the main transport line of the region: a road from the capital to the south, to Iran. Masalli region is rich in mineral springs - both thermal and cold, some are sulfurated and enriched with other trace elements. Located in one of picturesque mountain spots of the region is a mineral spring Istisu with medicinal water. The place is often visited, and not only because of the medicinal springs but also for the sake of recreation - the area is very beautiful with a waterfall of thermal waters and suspended bridge. "Istisu" is a very popular medicinal mineral water bottles of which are available in drugstores of our country. Masalli town is the administrative center of the district, located 230 km from Baku. The place was a home to the ancient tribe of "masals"; remained in the memories of people this name was transformed into the present name of the town. 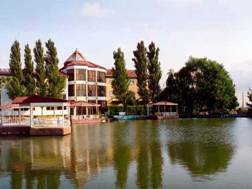 Located on the outskirts of the town, in a forest, is a small picturesque lake; this is the most preferred resort of both visitors and residents. Historical and architectural monuments of the town include a mosque of the 19th century, an ancient bath, the Erkivan tower, Museum of Regional History. There are mosques of the 16th century and the mausoleum of Seid Sadig in the nearby villages of Digah and Boradigah. Wares of traditional folk crafts (mats, shawls, pottery and woodenware carpets and jorabs) are made in the villages of Musakudja, Turkoba, Kolatan, Sigdash etc. 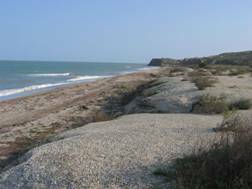 Located on the road from Masalli to Lankaran, on the southwest coast of the Caspian Sea (bay of Gizilagach) is the Gizilagach reserve. Territories of Lankaran district occupy the east coast of the Caspian Sea and whole Lankaran lowlands up to Talysh Mountains. Lankaran district is another important agricultural region of Azerbaijan, whose climate favors the growing of subtropical crops - tea, tangerines, persimmons, feijoa and lemons of various sorts. This is the main region of the country where grows the famous Lankaran tea, well compared by quality and taste with the classical Indian tea. It is not a coincidence that the area is a home to skilled engravers - the region is rich in unique sorts of trees, including relict and endemic ones. Lignum vitae, corkwood, velvet birch, hyrcanian box tree, silk tree, oak, eucalypt and the most abundant tree of Talysh forests of Lankaran - deciduous oak grow in this area. Aside of these there are many wild fruit trees, herbal plants and bushes in forests. Therefore it is not surprising that two reserves and one game reserve have been established on the territory of the region. 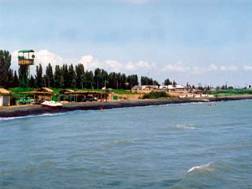 The reserve "Gizil Agach" is located on the southwest coast of the Caspian Sea, on the area of Gizil-Agach bay. 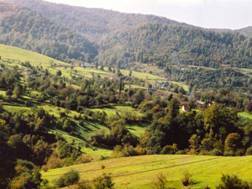 Located on an area of 21435 hectares is the "Hyrcanian" reserve. The game reserve "Small Gizil Agach" was established in 1978 (on an area of 10700hectares) on the Smaller Gizil-Agach bay to protect and restore the population of wintering and migrating swampy-water and coastal birds including rare and endangered species. It is bordered by the reserve "Gizil Agach".
" Lankaran" town is the administrative center of the district. It is speculated that the town was founded at this very place, near the sea, about 300 years ago. A fortress with watch towers and a light house were built here. The initial name of the town, "Lengerkunan", means "an anchorage" indicating that it was a port town. Presently, among architectural-historical monuments remained here there are "Khan Evi" khan palace with an original ornament of the front, Round castle (Prison) and Boyuk Bazar mosque . One can learn about the history of the region in the Museum of History, the very building of which attracts special interest from the architectural standpoint. There are workshops of decorative and applied art in the town where craftsmen engrave on wood, stone and metal. There is also a theater, the first performance at which occurred in 1850 year; the returns were donated to the poor. Lankaran is a hometown of the famous Azerbaijani commander, General Azi Aslanov and there is a monument erected in his honor. A museum exhibition was opened in the house he lived in. Such traditional crafts as jewelry, carpet weaving, reed netting (according to some sources the whole town of Lankaran was constructed on a swampy place covered in reed) are developed on the outskirts of Lankaran, in the villages of Boladi, Vilvan Veravul. Among architectural and historical monuments remained to present day there are Abirlar tower in the village of Yukhary Nuvedi, the Tower of Sheikh Zahid in the village of Shihakaryan, and to the west of Lankaran there are ancient remainders of Balabur tower in the construction of which an unusual combination of materials - red bricks and fluvial stones was used. Located high in Talysh Mountains, the district of Lerik is one of the most beautiful nature spots in Azerbaijan. It is possible to hunt wild boars, foxes, hares and birds (ducks and partridges) The tallest peaks of Talysh Mountains are Kemur-Gey(2492 m) and Gizyurdu (2433 m). The unique history of this region reflects the most interesting periods in the complex history of the whole country. There are plenty of cultural and historical monuments evidencing that these places were inhabited already in the Late Stone Age. E.G.cave stop dated to the Stone Age, ancient site "Giz Yurdy" near a mountain village at the level of about 2430 m.
Mausoleums include "Baba Hasan" near the village of Jonu, "Baba Isa" in the village of Mondigah, "Hodja Seid" in the village of Hanagah (14th century), "Pir Yusif" near the village of Kekonu, Dabira(12th-14th centuries) and " Khaliph Zakariya " on the road to the village of Djengemiran in which both ancient and simply old trees are protected and honored by the residents. This village was once visited by Alexander Dumas who later pictured a heroic fate of a woman from the village in one of works. Remained in the village of Lulukaran is an original mosque dated to the 19th century. 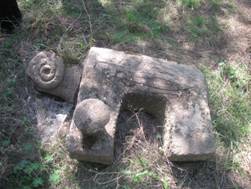 Noteworthy are also numerous stone figures of rams remained in many villages. We have already mentioned that the region is famous for its longest-livers. Shirali Muslumov, for instance, lived 163 years of active life (1812-1975) thus setting the world record. Mahmud Eyvazov lived 150 years (1808-1958). Even today dozens of longest-livers who turned 100 and yet have not lost the ability to work live in the regions. 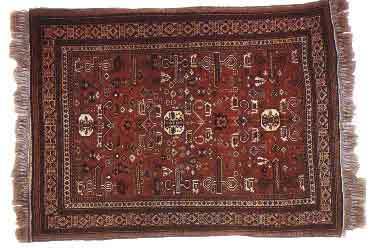 Among the developed folk crafts are carpet weaving, production of various domestic wares and pottery. An interesting feature of the local carpet weaving is that the carpets are woven not on a vertical loom but on horizontal one, laid out right on the floor. Lerik town is the administrative center the district. Here one can visit the Museum of History, survey the memorial erected in honor of victims of the Armenian-Azerbaijani Nagorny Karabakh conflict. Astara district is located on the border with Iran, in the southeast part of Azerbaijan. The forests occupy 37000 hectares; the rivers Astarachai and Tengerud originate high in Talysh Mountains and empty into the Caspian Sea. Fauna is none the less diverse than the flora - porcupines, roes, wolves, lynx, deer etc. The animals feel comfortable in local forests. There is an abundance of sand beaches with clean, transparent water on the shore of the Caspian Sea. Located on the territory of the region is a part of Hyrcanian National Park , making the place attractive to eco tourists. In Astara region, near the border with Iran, in the place named Isti-Su there are medicinal springs. This is an area of tea, vegetables and citrus growing. There is a great number of historical and architectural monuments (about 400) remained in the region. In nearly all villages there are traces of ancient dwellings. E.G., a tower in the village of Shindan (named The Tower of Babek by local residents); another tower in the village of Nudis; the Bath of Meshedi Abutalyb, the Mosques of Gadzhi Teimus and Gadzhi Jahan Bakhish in the village of Pensar; a mausoleum in the village of Shakhagach; the Bath of Kerbelai Gamid Abdulla in the village of Archivan (in the same village there is a famous sulfurated spring: its water takes fire if exposed to a lit match); fortress ruins, a mausoleum, a caravanserai dated to the 7th century and stone sculptures dated to the Stone and Bronze ages in the villages Siniyapert, Lomin and Pileken. Astara town is the administrative center of the district. It is located 322 km from Baku. The town is an important transit point on the road Baku-Teheran. Astara is a border town bounded by the sea from one side and by mountains from another. There are rice fields around the town. Fishing is also developed which is reflected by the local cuisine. In Astara there is a Museum of Regional History with quite rich collections. The main pride of the museum is not only old coins evidencing about the advanced level of trade in ancient times but also a stone human sculpture about 200- years old.